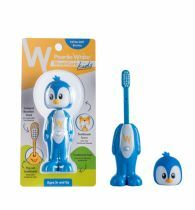 THIS Make brush time a fun time and give your child a healthy start towards good oral health. 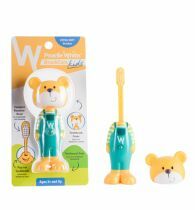 Great for children aged 3+ and above, these animal-themed toothbrushes will make you and your child smile. 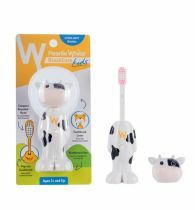 Designed to encourage your child to brush, it’s compact rounded head with extra soft bristles makes it safe and comfortable for delicate little mouths. And a toothbrush feet for the toothbrush to stand upright, no extra cup or holder required for storage! See a familiar icon? 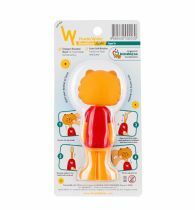 Get BrushCare Kids toothbrush in Singa the Lion design. Created in 1982, Singa the Lion was the nation's mascot for courtesy and is a symbol that many Singaporeans can identify with. More recently, Singa has helped foster a more gracious society by encouraging the younger generation to show kindness one act at a time. 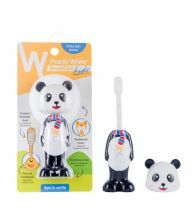 Pearlie White, a home-grown Singapore brand, brings Singa to your child's everyday brushing routine. With thanks to the Singapore Kindness Movement.